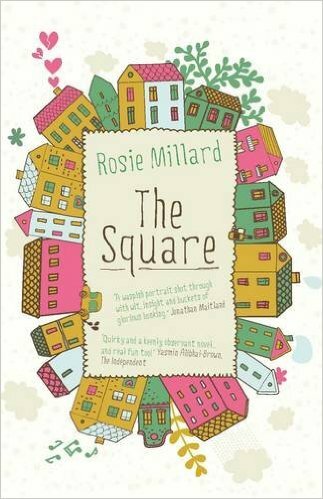 The Square by Rosie Millard is one of those “slice of life” books in the tradition of Maeve Binchy. While there certainly is a plot, the book is more about the rhythms of life the characters move in. Centered around an upper-middle class housing square around a private garden in London (think the lovely garden in Notting Hill). Affairs are being had, backs are being passive-agressively stabbed, piano lessons are being ignored… lots happening in the Square. Overall, this was an enjoyable book. It’s not anything overwhelmingly special, it’s just truly enjoyable. My one big “meh” was the way a few of the kids were written – the “Boy George” as he’s called especially. Just a little bit too too. However, if you like a breezy, slightly cynical slice of English life, then pick this one up for sure. Enjoy it with the ever-so-English Pimms or a solid Gin and Tonic. If you’ve never read any of Maeve Binchy’s books and you enjoyed this one, then definitely start your way through Binchy’s works. Americans who may not be familiar with some of the cultural oddities of the British middle class may enjoy reading this book. I received this book from NetGalley in exchange for a honest review. Books with Children, Cocktail, Contemporary, Gin and Tonic, Romantic Elements, U.K.